Key Fob Grand Rapids MI Buy and save money over dealership costs. Need a key fob Grand Rapids MI and don't know where to start! Need a key fob Grand Rapids MI ? Like to avoid the high cost of the dealerships Unsure about the quality of key fobs offered online? Are you thinking -- what if I take the chance and buy it online, then how do I get it programmed? Now, in Grand Rapids MI we are offering an alternative! We'll address these issues and more . . . Car Key Replacements for most makes and models of vehicles! Most of the newer cars in Grand Rapids, MI today are coming equipped with key fobs. Combination key and remote, fob that plugs into your dash, or a fob that when it's in the car; all you do is push the button to start. These can be really confusing; and if you are not careful, very expensive when yours is lost, stolen or broken. RemotesCarKeys.com is located locally in Grand Rapids, MI. We carry a wide range of OEM (Original Equipment Manufacturer) approved replacement key fobs and supplies to repair yours if it gets broken. We have the specialized equipment needed to program these newer car keys. More info on Key Fob Programming. If you are looking for an extra fob, it's less expensive if you can bring the car to us. (Call ahead to make sure we have your key or fob in stock). In the event you need a replacement, we can easily and quickly come to you for replacement and programming. You will quickly be on your way, 7 days a week. 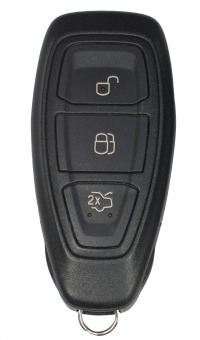 If you need to know what kind of car key you have (mechanical or transponder) just give us a call. We'll look it up and price a new one for you! 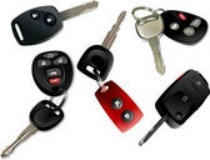 Call ahead to make sure we have your specific car key or fob in stock.